$59.95 per customizable throw pillow. 20" x 20" square pillow. Handmade in the USA by sustainably employed single moms. Full color vibrant digital printing. American MoJo® custom pillows from Zazzle are manufactured on demand (printed, cut, and sewn) and made of 100% grade A cotton. All American MoJo® products are produced by sustainably employed single moms in the USA. American Mojo® is a wonderful Zazzle partner that is contributing to breaking the cycle of poverty for single moms and their children. American Mojo® provides single moms with good wages, childcare, health insurance, and more! 20" x 20" square pillow..
100% grade A woven cotton. Made from natural fibers, which may result in irregularities. 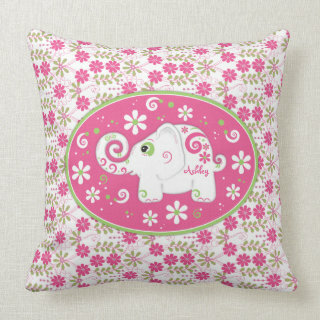 Note: Zazzle throw pillows are made on demand. Therefore, manufacturing times are longer. Please allow 5-21 business days for manufacturing. *Shipping estimates will vary depending on the shipping method selected at checkout, and are not included in the manufacturing turnaround times posted. Zazzle pillows are manufactured, printed, and shipped in the US, even if ordered off of international sites. Please allow sufficient time for international shipping.